HealthHarmonie's Clinical Governance Lead is Mr Joe Jordan. Mr Jordan is supported by our Clinical Governance Manager, Samantha Paterson. 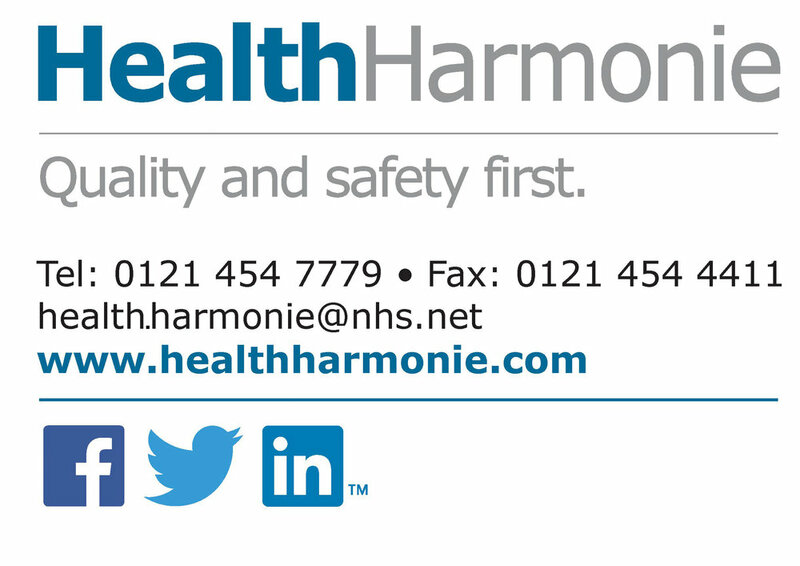 Providing high quality care for all of our patients is central to everything we do at HealthHarmonie. Our company’s vision is to “be the leading Community Healthcare Service Provider in quality and patient safety”. We ensure we monitor and assess our performance in relation to our vision and our Quality Account sets out to do this.